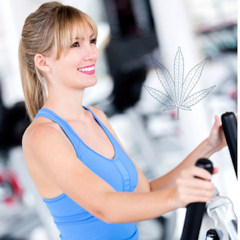 Home » Leaf of the Week » Can I Consume Cannabis Before Working Out? 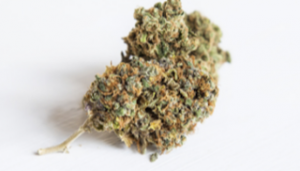 Since cannabis is legal for recreational use in ten states and counting, one of the most common question that comes up is “Can I use cannabis before working out?” The answer is yes. More and more athletes are coming out of the green closet to discuss their cannabis use and how it affects their athletic performance. Olympian and World Champion Joanna Zeiger, PhD is the founder and coach with Train Away Chronic Pain. She is a cannabis advocate and often discusses how cannabis has helped her manage chronic pain symptoms and provide a restful night’s sleep. Other athletes such as Anna Symonds and Nathan Quarry are members of Athletes for Care and are discussing their personal use with cannabis and how it has elevated their fitness and recovery. Nathan also shares his personal story, advocating for cannabis and its use as an opioid replacement. Athletes train and fuel their bodies to operate at optimal levels in their sport because that’s what their income relies upon. So why would they want to take a synthetic anti-inflammatory that has known harmful side effects and addictive properties? Many of them don’t, but are bound by the regulating bodies of each sport. The announcement by WADA, the World Anti-Doping Agency, to remove CBD from the banned substance list in 2018 provides a safer option to many athletes. This removal of CBD helps by diminishing the stigma surrounding cannabis and its users. 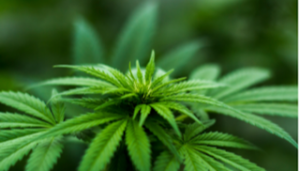 However, there’s more evidence surfacing about how efficacy increases with the use of the combined cannabinoids in the plant, which includes THC. Another cannabinoid known to be beneficial for fitness is CBG. Among the top 5 benefits of CBG for fitness are pain relief and help with sleep. Personal trainers often have clients who have never, or are very rarely, engaged in physical activity because of lack of motivation or pain while working out. Cannabis has the potential to reduce inflammation and pain for those experiencing chronic symptoms or training consistently. Another benefit for cannabis and athletics is its ability to provide a more restful sleep. Especially for athletes, rest is an imperative recovery tool which can be promoted naturally with cannabis. Consuming cannabis doesn’t always relate to edibles, topicals, smoking or vaping. It can also mean eating hemp as a food source. Hemp contains high amounts of plant-based protein, which is the building block for muscle. It contains all 20 amino acids, including the 9 essential amino acids the body cannot produce on its own, making it a complete protein. Because hemp is an excellent source of protein, and one of the easiest for the human body to digest and absorb, it makes it an excellent choice for overall health and wellness. 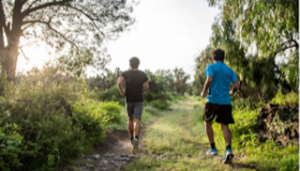 If you’ve new to consuming cannabis before engaging in physical activity, slowly titrating is the best way to start incorporating it into your regime. Take small amounts, also known as a microdose, and see what the effects are. Keeping a journal about each product and its effects can be very helpful. I’m a daily consumer, personal trainer and sponsored trail runner who consumes before, during, and after physical activity and races. I use cannabis as a tool before physical activity, very similar to how some use a pre-workout. For me it helps me zone in to increase focus and keeps me relatively pain-free during training sessions. After training, I will consume and apply topicals to my legs or other areas where I may have achy muscles or inflammation. Cannabis has been an excellent natural and healthy tool for my personal training and athletic performance.